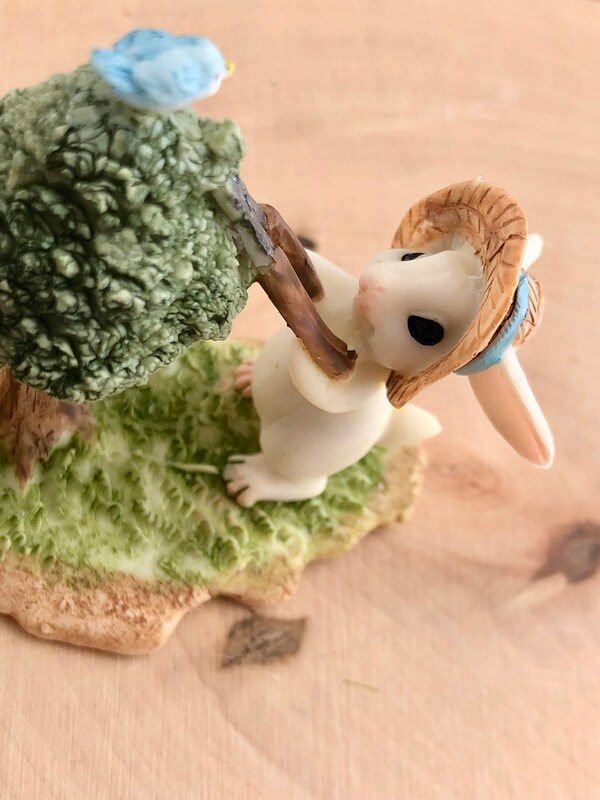 So darn cute. 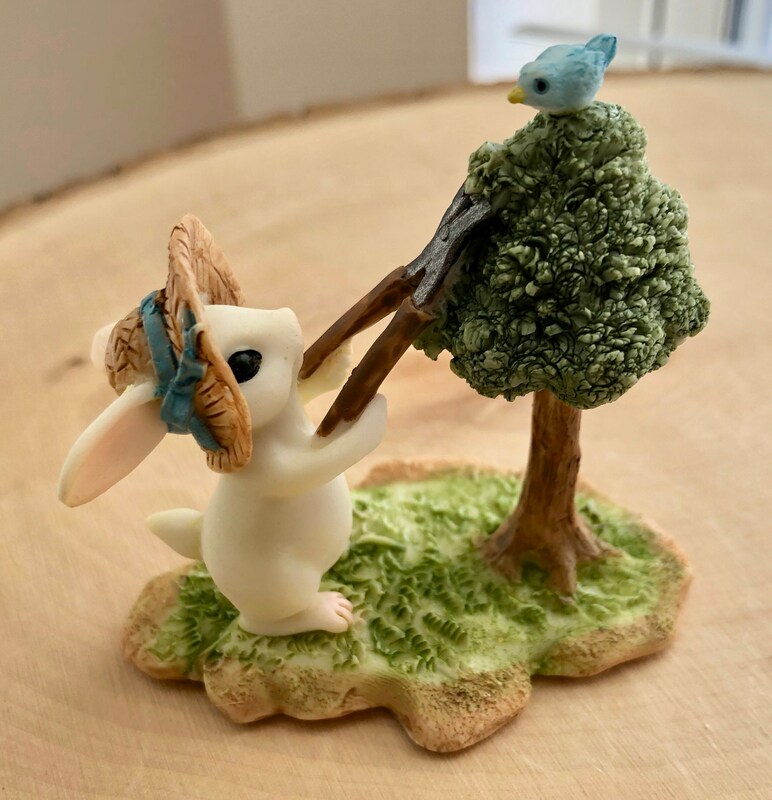 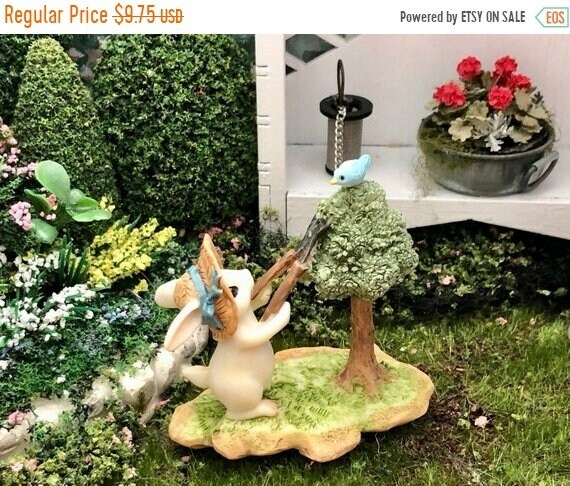 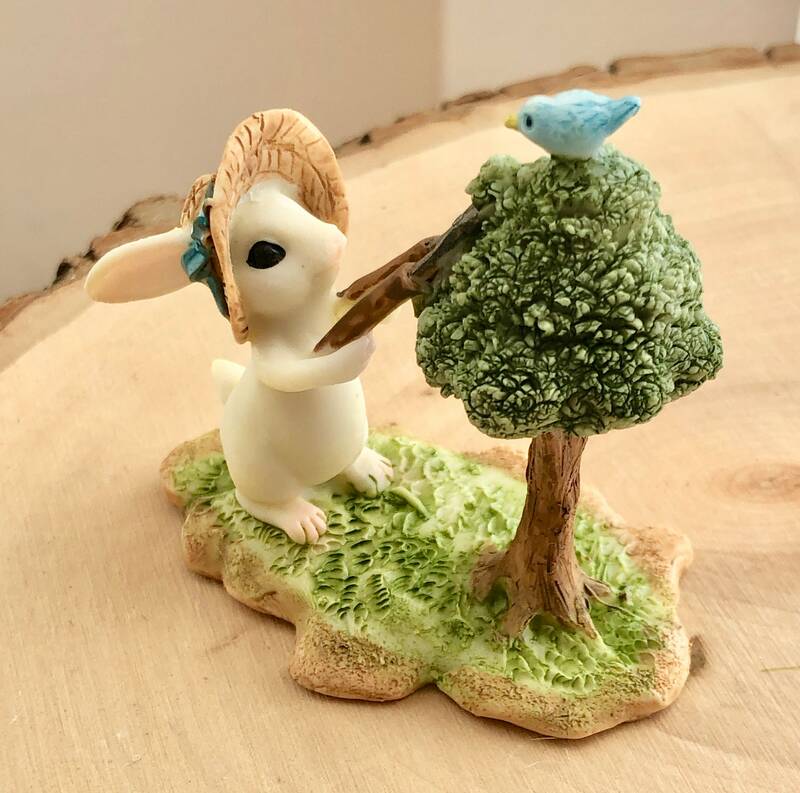 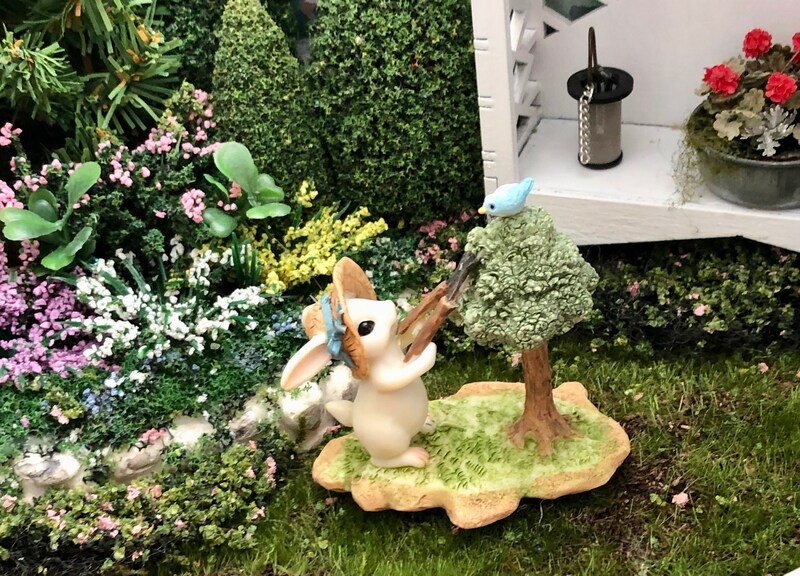 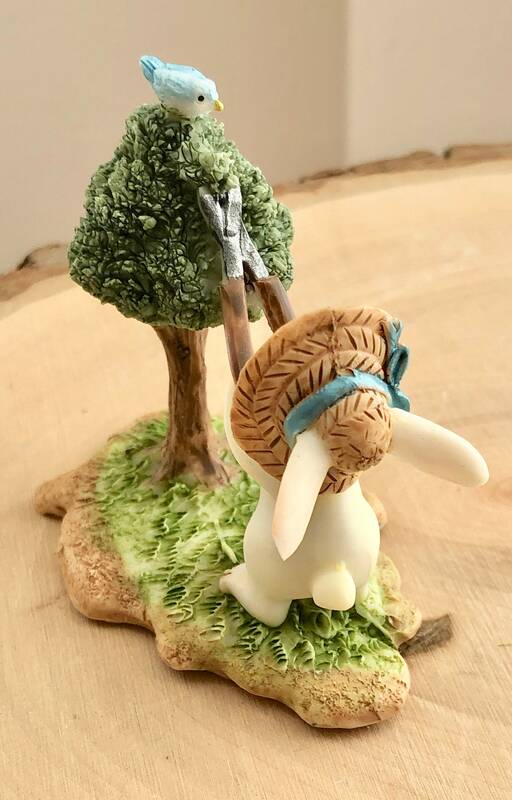 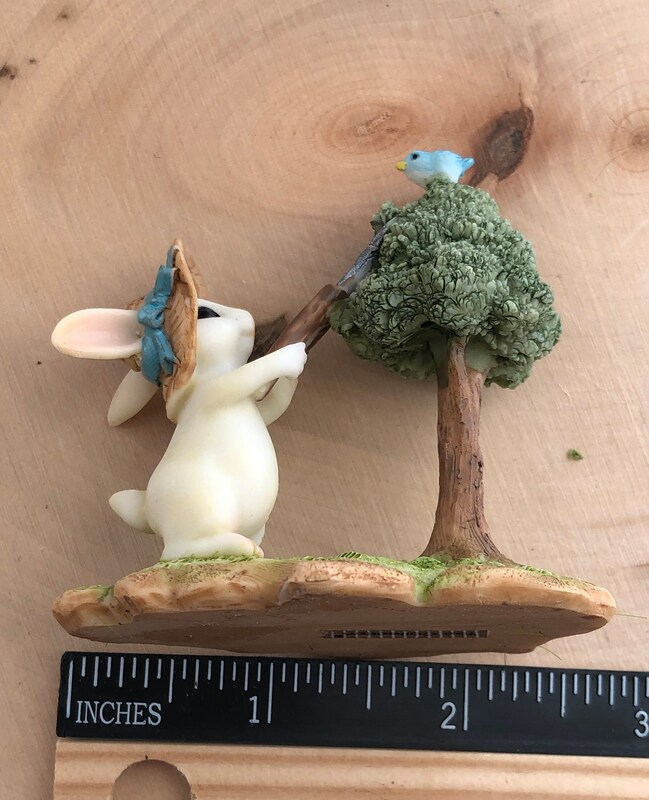 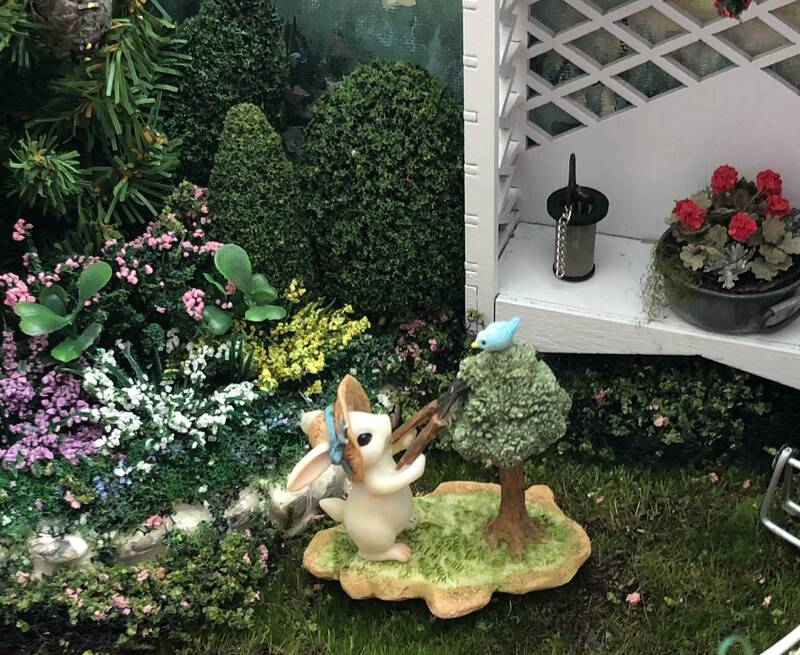 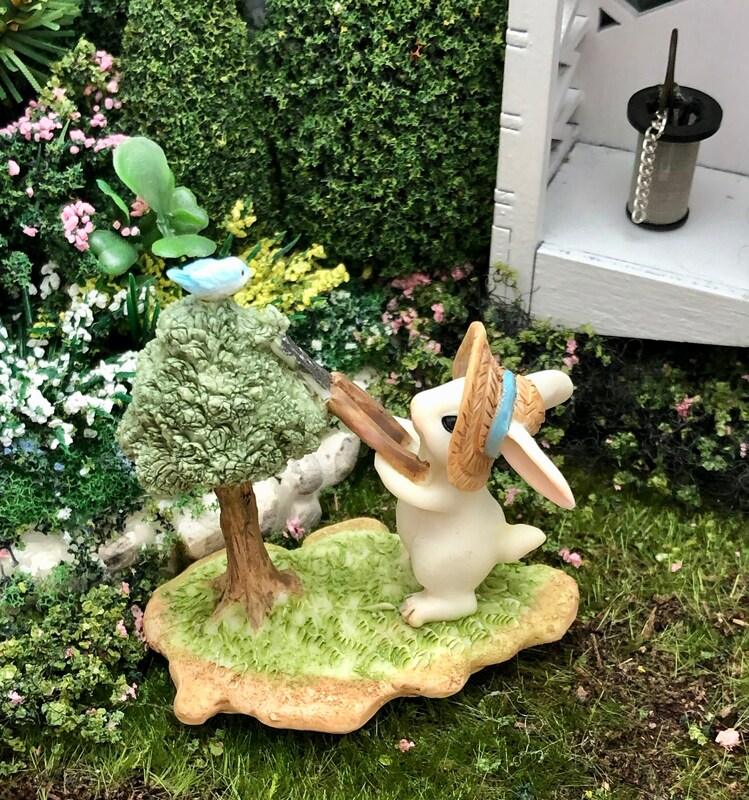 Bunny gardener pruning tree with a bird watching over. 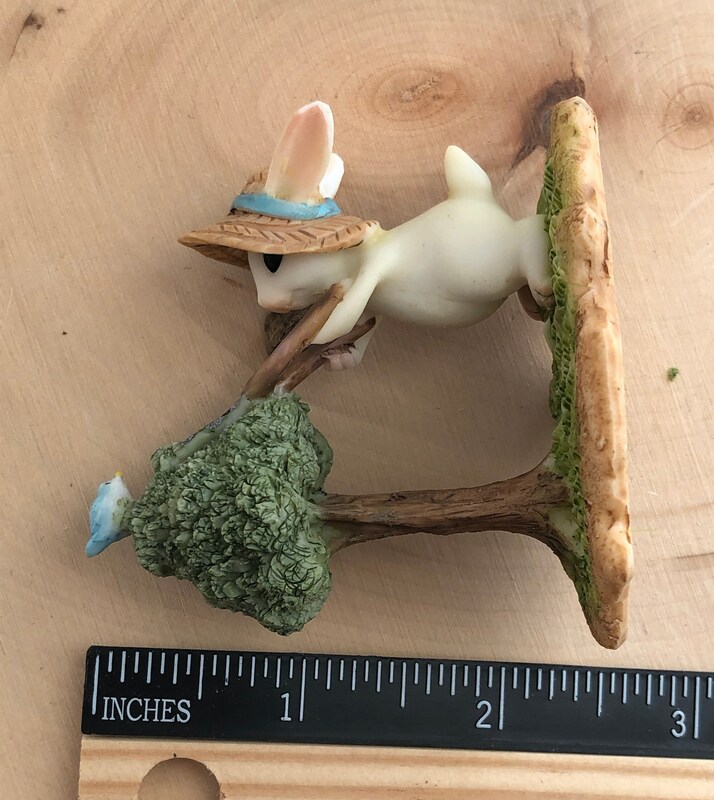 Size: H: 2.5" W: 2.5"